We all want to travel the world. But there is a category of travelers who don’t just want to travel the world, but experience it. They are not just tourists. They are a cliff jumping, waterfall climbing, and monkey chasing adventure seekers. And a cruise is not just about tours. It’s a zip line conquering, ocean discovering, underwater adventure. It lets you explore island after island, culture after culture because cruise activities/itineraries are created with thousands of options for families, foodies, action lovers and culture seekers. That’s why a cruise denotes much more than merely a voyage. It signifies a way to have an experience of lifetime. Contrary to the common belief, a modern cruise offers a more stress-free experience, as you don’t have to plan. Everything is taken care of by the cruise: food, accommodation, entertainment, planning (as to which port to be visited next) all is taken care of. At the end, it’s a very relaxing, convenient and hassle-free vacation. 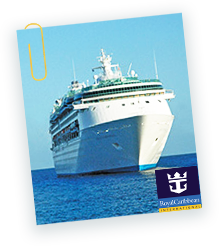 So, when it comes to cruise, there are plethora of options and itineraries catering to whatever your preference maybe. Basically, there are three kinds of cruises to be chosen from. So, a cruise can let you travel the way you want. There’s something for everyone. Like for fitness aficionados, there are aplenty fitness options available onboard. Likewise for avid food-lovers, there are diverse type of cuisines available, at all times during the day. There’s so much to do on a cruise that you can’t help but be delighted. So, start living life, one cruise at a time. Forget Myths & Woes. Just Cruise. Not really. Even while a ship sails from port to port, there are aplenty activities that a traveler can do onboard. However, depending on how many sea days your trip itinerary entails, you’ll be on a new port each morning that you can explore leaving the ship. Apart from this, you also get a bouquet of exciting onboard activities to choose from. This ensures, you would never feel stuck onboard. Also, rest assured that in case you need to leave the ship anytime due to an emergency, the crew can make necessary arrangements. This used to be an issue with the older ships due to their poor layouts, but on modern, carefully designed cruise ships, it’s not a problem. Moreover, with the world’s largest cruise ships like, Harmony of the Seas and Symphony of the Seas, crowd is hardly a matter. Modern cruise ships are never congested, as the ships with more passengers also include more deck space, restaurants and entertainment venues to accommodate the larger number of people onboard. A cruise and its itineraries are carefully designed to let every passenger feel like a celebrity. Probably not. In fact, there may be times when you don’t even realize the ship is moving. This is primarily due to the ship being equipped with stabilizers, which most cruise ships have nowadays. With that said, the ocean is a big place. If there are waves, you’ll likely feel them. So pack your favorite motion sickness remedy, just in case, and you should be good to go. If you’re still worried about getting seasick, book a cabin in the middle of the deck, which is the natural balance point on a cruise ship. You don’t have to be Bruce Wayne to take a cruise these days. With so much competition in the cruise space, companies are always looking to fill cabins and often offer discounts and incentives, to ensure their ships don’t leave the docks empty. Moreover, modern cruises start from about $100 a day. 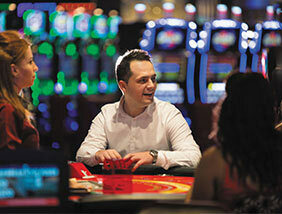 This includes all meals, entertainment, and serviced accommodation. You can also opt for guaranteed stateroom to book in advance with the surety of a room when you travel and probability for an upgrade if possible. On modern cruise ships, the choice of food is incredible, with many choices available for each meal, including various vegetarian options and many meats. Additionally, modern cruise lines now offer specialty dining, which—for an extra fee—gives cruisers the chance to elevate their culinary experience. Moreover, people with special dietary requirements, such as Jain food and vegans need not worry. They only need to mention this at the time of booking and they will be catered for. This myth may be a result of the perception that the majority of things to do on a cruise revolve around spa treatments and shopping in the ports. But the truth is cruises offer so much more than that; they are after all floating resorts with lots of entertainment options for everyone. 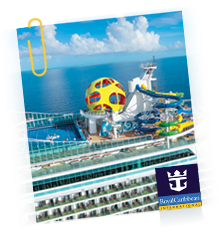 On the Harmony of the Seas, for example, there’s a giant waterslide, a large pool for wave surfing, pool parties, theme parties, swing city, harmony high, Aquatheatre, the list goes on. Hence, you can never run out of entertainment options aboard a modern cruise. So, it’s hard to get bored on a cruise, rather you may be surprised what adventures you discover. Cruising is gaining more popularity among people in their 20s, 30s and 40s cruising. Cruise lines are catering to younger and more adventurous crowds with offerings that include trendy, celebrity chef-inspired restaurants, phenomenal children's programming for younger couples with kids, swanky adults-only areas, innovative spa treatments and plenty of adult comedy - as well as shore excursions. Cruising is one of the most social forms of travel, and cruising alone is a great way to meet new people. Look out for any solo-focused gatherings on the first few days of your cruise, request set-seating dining, and participate in the various onboard activities (karaoke, trivia and game shows) that will allow you to put yourself out there and meet people. Several ships have solo cabins, specially designed for people sailing by themselves. Some include access to dedicated solo lounges and activities geared towards those who are onboard without a travel companion. Cruise lines understand this concern and so, have many adults-only sections. These sections are generally less crowded and more laid-back, and one can easily find a quiet space to relax in these areas. So, there’s no need to worry about privacy on a cruise ship. There are majorly four categories of cabins on a cruise – Interior, Oceanview, Balcony and Suites. Each one caters to different needs. You can opt for any kind depending upon your preference and budget. Following some commonsense tips to book a cabin on a cruise can enhance your in-cruise experience. For example, if you plan to spend most days at the pool, avoid cabins that are far away from it and if you’re prone to seasickness, steer clear of the bow and stern, where wave action is noticeable. Cruising has gotten much less formal with time. With the plethora of casual activities, you will hardly be in a mood to always stay dressed up. Nowadays, most nights on a cruise, you’ll only need ‘smart casual’ attire. And you can always skip the main dining room, which has a dress code. For a more casual meal, you can always visit a buffet or other more laid-back venues. 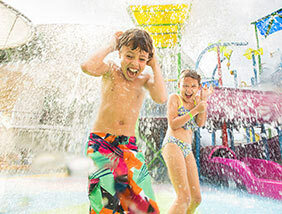 All major cruise lines offer organized programs and camps for children, who can choose to participate whole day or only in specific activities. Some fun kids’ activities include Teen disco, Adventure science club, Aquanauts, Imagination Studio, Adventure Ocean Theatre, Adventure Art, along with special Babies and Tots Program. These activities provide for both family time, and a chance for the parents to relax on their own. Daycare and babysitting services are also available, usually at no charge. Right from the days of Columbus and Magellan – all explorations thrives on stories about experiences of something unique. Come here to take away amazing stories and experiences. Cruise director staff and activities. it was amazing to be on board! these 4 nights are little less for us !! A Royal Caribbean adventure is more island-hopping than deck-chair lounging. It’s temple trekking in Mexico and backstreet roaming in Barbados. It’s mid-ocean molecular gastronomy and skydiving at sea. It’s next-level onboard activities, entertainment and accommodations. Take your pick out of more than 249 dream destinations in 71 countries on five continents. And with their vast range of shore excursions, one can unlock extraordinary adventures in every place they visit. Exhilarating days of discovering the world deserve an equally amazing place to recharge. Revel in stylish design. Sink into exquisite bedding. Bask in breathtaking views. 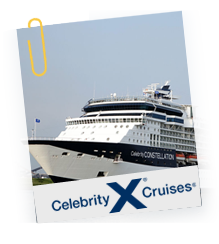 Celebrity Cruises’ modern luxurious accommodations have been artfully created to make your stay warm and welcoming. And the almost endless perks of their Suite Class, AquaClass®, Concierge Class, and Verandas can transform your stay into an experience unlike any other at sea. Thanks to their smaller ships, idyllic scenery, breathtaking views, and extended stays at less-traveled destinations are easily within reach. They give more time in ports and overnight stays than other cruise lines, so one can spend more time immersed in the culture, cuisine, scenery, and people of the destinations. For those who want to truly live it up, Azamara Club Cruises® delivers once-in-a-lifetime experiences with themed voyages and itineraries centered around premier world events.